Apple and Google have announced new subscription models for gaming apps on their respective stores. 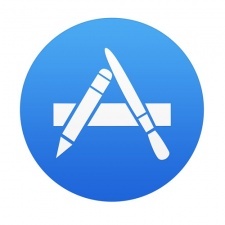 Both the App Store and Google Play will now allow developers to release games with subscriptions, much like the magazine and newspaper subscriptions that are already available. The interesting change, however, is the revenue split. Both Apple and Google will change the revenue split to 85/15 to the developer, a large increase on the standard 70/30. But while games on Google Play will have this new revenue split applied immediately, games on the App Store will only receive the new split after a player has been a paid subscriber for a year. There is a 60-day grace period if a player cancels their subscription but renews shortly afterwards, but after 60 days, the clock is reset, and that player would need to pay for another year for the developer to reap the benefits of the new split. The other problem is when the plans will be put into practice. Apple has announced that its 85% revenue shares will start on 13 June 2016, but the Google Play subscription structure has yet to be formally announced. You can find out more about Apple's subscription structure on its developer website.